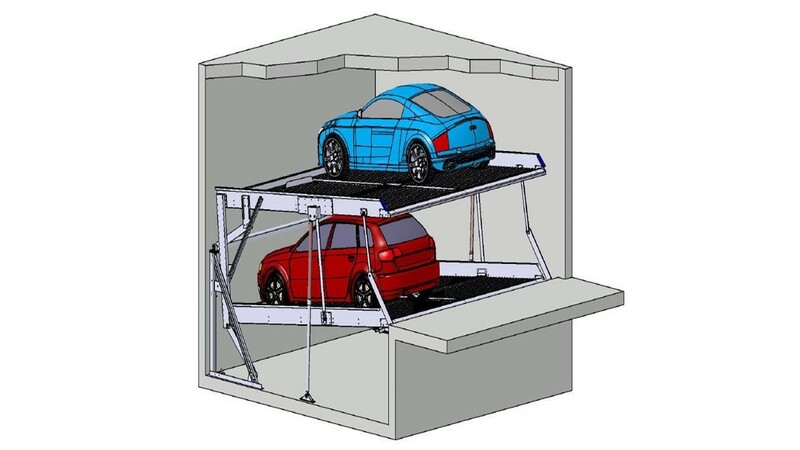 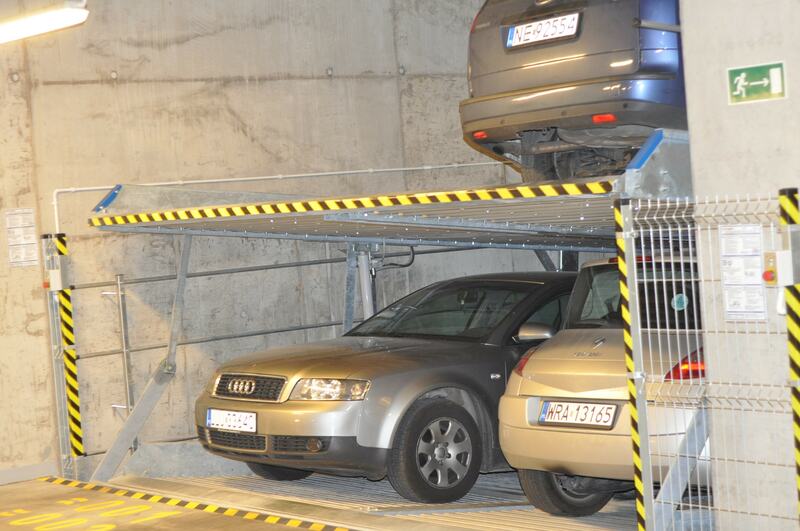 The S1.6 car parking system is a small space miracle: even with very low ceiling height and pit depth, it still enables two vehicles to be parked independently one above the other. 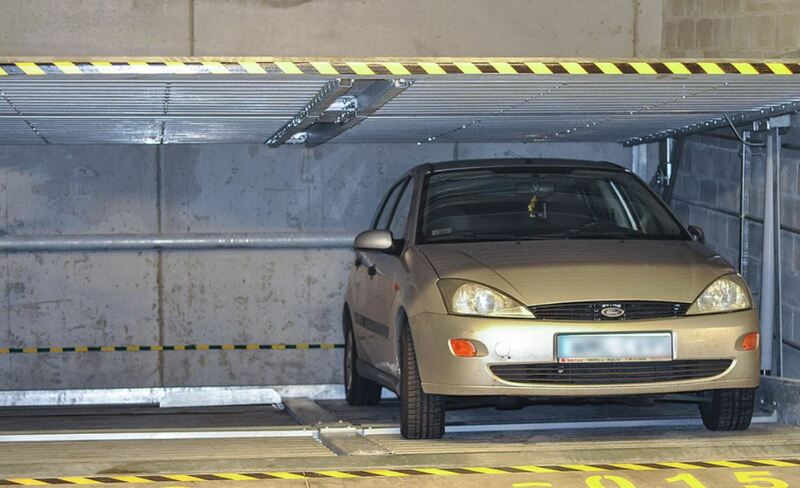 Independent means in this case: the vehicle can also be accessed if another parking space is occupied! 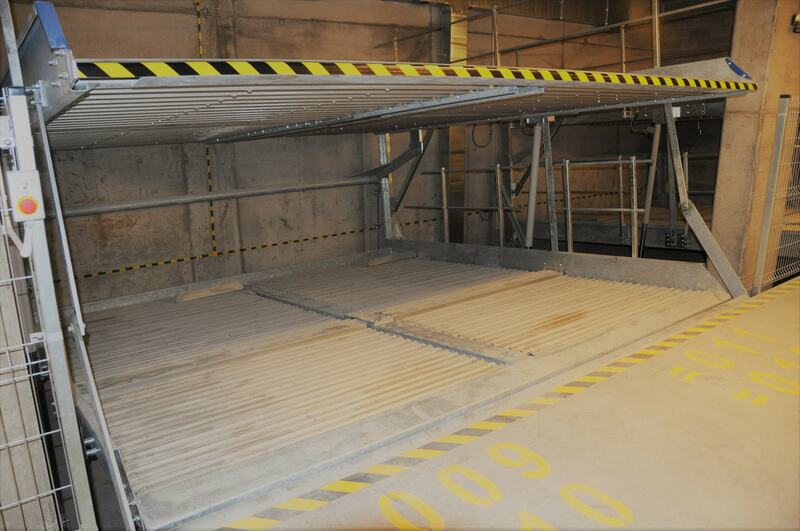 So sinking the lower platform gives you full flexibility! 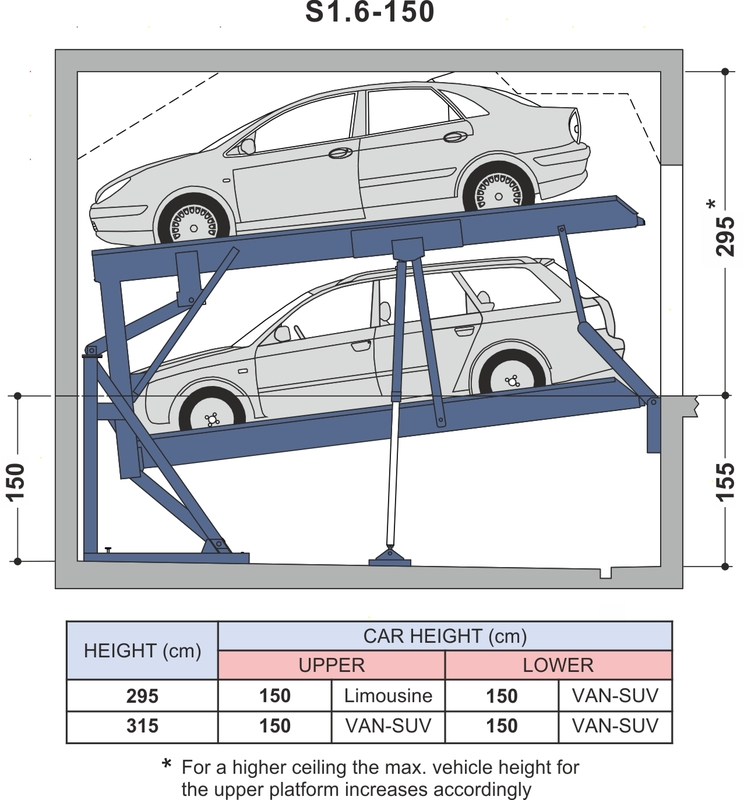 The S1.6 is available as single platform (EB) for 2 vehicles and as double platform (DB) for 4 vehicles.